Mimi Lien is a designer of sets/environments for theater, dance, and opera. Arriving at set design from a background in architecture, her work often focuses on the interaction between audience/environment and object/performer. She is an artistic associate with Pig Iron Theatre Company and the Civilians, resident designer at BalletTech, and co-founder of JACK, a performance/art space in Brooklyn. She was recently named a 2015 MacArthur Fellow, and is the first set designer ever to achieve this distinction. Select work includes Appropriate (Mark Taper Forum), John (Signature Theatre), Preludes, The Oldest Boy (Lincoln Center), An Octoroon (Drama Desk and Lortel nominations, Soho Rep/TFANA), Stop Hitting Yourself (Rude Mechs/LCT), Natasha, Pierre, & The Great Comet of 1812 (Lortel Award, Hewes Design Award), Black Mountain Songs (BAM Next Wave), Elephant Room (St. Ann’s Warehouse). Her work has been presented at Lincoln Center Theater, St. Ann’s Warehouse, Signature Theatre, Playwrights Horizons, the Public Theater, Soho Rep, The Kitchen, 13P, Ontological-Hysteric Theatre, Berkeley Rep, A.R.T., Mark Taper Forum, Wilma Theater, Longwharf Theatre, Goodman Theater, La Jolla Playhouse, Portland Center Stage, Alliance Theatre, Playmakers Rep, and Virginia Opera, among others. Mimi’s designs for dance have been presented in the Netherlands, Russia, and Taiwan. Her stage designs have been exhibited in the Prague Quadrennial in 2011 and 2015, and her sculptures were featured in the exhibition, LANDSCAPES OF QUARANTINE, at the Storefront for Art and Architecture. 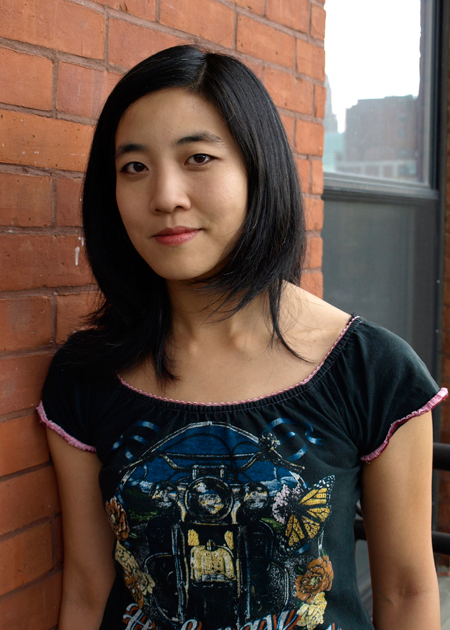 Lien is a recipient of the Joan and Joseph F. Cullman Award for Extraordinary Creativity at Lincon Center Theater, Lucille Lortel Award and American Theatre Wing Hewes Design Award, Barrymore Award, four Barrymore nominations, two Drama Desk nominations, Audelco Award nomination, Bay Area Critics Circle nomination. In 2012, she received an OBIE Award for sustained excellence.